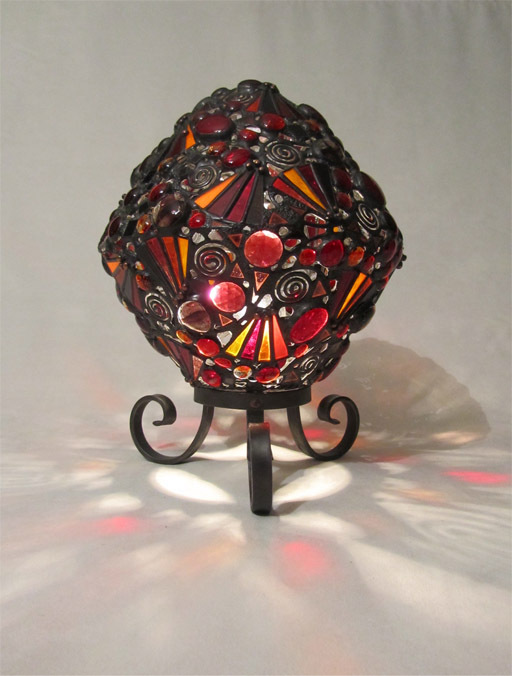 My FireBall Lamp will bring a dramatic charge of energy into your space and you will soon find that Loris Nygaard creates The Lights that Turn You On. You can not elude from the vibrations of the Red, Cranberry, Oranges and Burgundy Wine colours. The base is hand forged by Davej from www.islandblacksmith.ca and measures 12" high with base.